On Little Seneca Creek at Hoyles Mill Rd. The mill is located about 1/2 mile down stream from where Hoyles Mill Rd. fords the creek. It is on the left side of the stream facing downstream. It was a grist mill having an overshoot wheel, later a turbine. 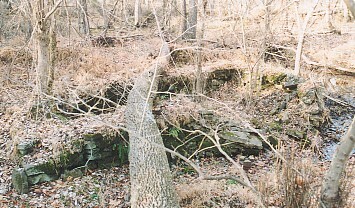 The stone foundation ruins remain. It measures about 20 ft. by 40 ft. The turbine is still buried there with just the sprocket sticking out of the ground. 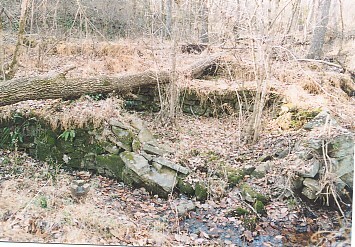 The mill run starts about 400 ft upstream from the ruins. It runs down past the ruins and continues for another 100 ft to where it rejoins the creek. The run is well defined, being 4 ft. deep in places. 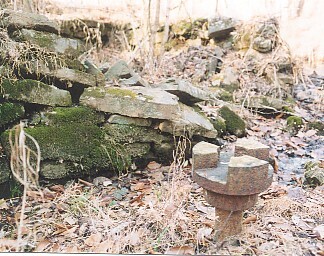 Hoyle abandoned the site and built a steam mill on the railroad at Boyds in 1893. (R.P. Davis is listed as a miller at Boyds on the B&O in 1880). Hoyles widow lived in Boyds in 1968. She was in her 90's then.